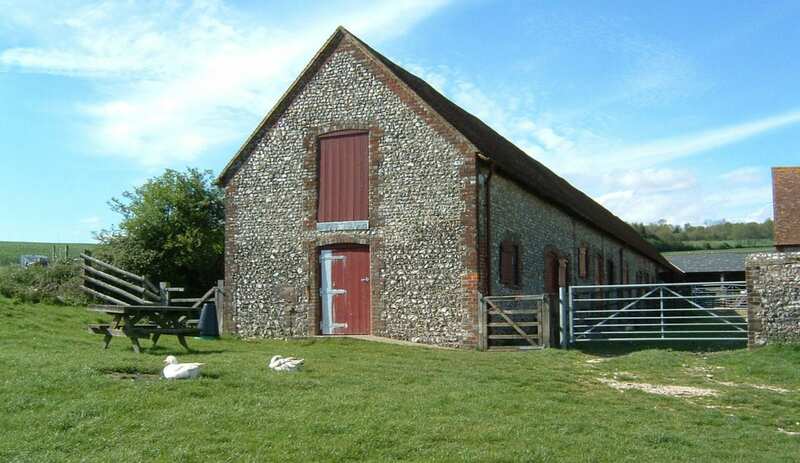 Gumber Camping Barn (Formerly known as Gumber Bothy) is a converted Sussex flint barn on a working sheep farm within the National Trust's Slindon Estate. 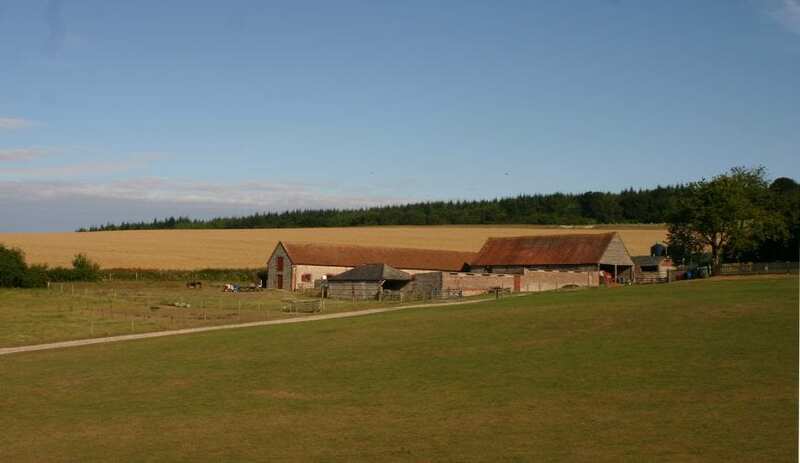 It provides simple overnight accommodation or camping for walkers, horse riders and cyclists, just off the South Downs Way, or a tranquil and remote location to get away from it all. Five minutes' walk from Stane Street, the Roman Road that crosses the South Downs Way at Bignor Hill, facilities include sleeping platforms in 3 dorms sleeping up to 25, basic kitchen and bathroom facilities, BBQ, drying room, bike racks, payphone. Wheelchair accessible (please phone for details). There is also a campsite available Sorry, but as the Camping Barn is on a sheep farm, no dogs and most definitely NO CARS. Not suitable for under fives. Photos: ©National Trust Images/John Miller, ©National Trust Images/Robert Morris. This accommodation is featured on our map of South of England and South East England and here is its own website. Booking by phone or email. Deposit required at time of booking. Postal address: Slindon Estate Yard, Slindon, Arundel, West Sussex, BN18 0RG. Train stations, Arundel (urban) 5 miles, Amberley (rural) 5 miles, Chichester (8 miles). National Express stop at Chichester. Buses 84 and 85 from Chichester, stop at Fontwell and then it is a 3 mile walk to the Bothy. 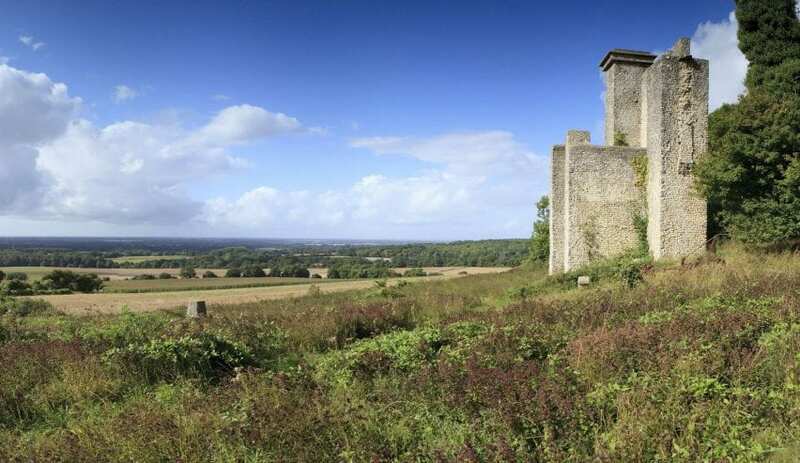 Taxi fare from Arundel to Northwood Farm is approx £10, followed by a 2 mile country walk. This accommodation is in a National Park, is available to individuals and is on the Hostels with Camping map, the camping barn map and the National Trust Bunkhouses map. With campfires allowed, but no cars on site, Gumber Campign Barn, on the National Trust’s Slindon Estate, is a step back in time. You walk across the estate carrying your gear, leaving the modern world and your car behind. 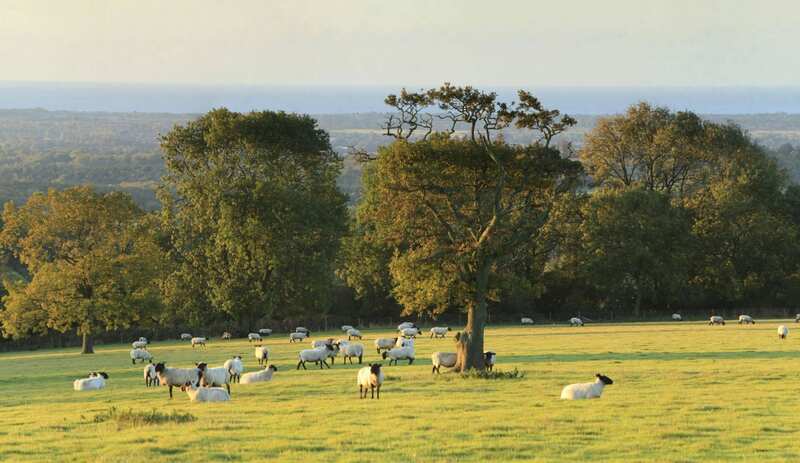 The landscape is the prettiest rolling Sussex hills, dotted with distant sheep like daisies in the grass. The tranquillity seeps in and soon you could be walking through a scene from anytime in the last 2000 years. Just over there is Stane Street – the Roman road linking London with Chicester. The Legionnaires carrying their packs clinked along this route. Just like them, when you arrive there is a very welcome camp. Unlike our Roman antecedents, you won’t have to build a shelter as the flint barn stands welcoming you. 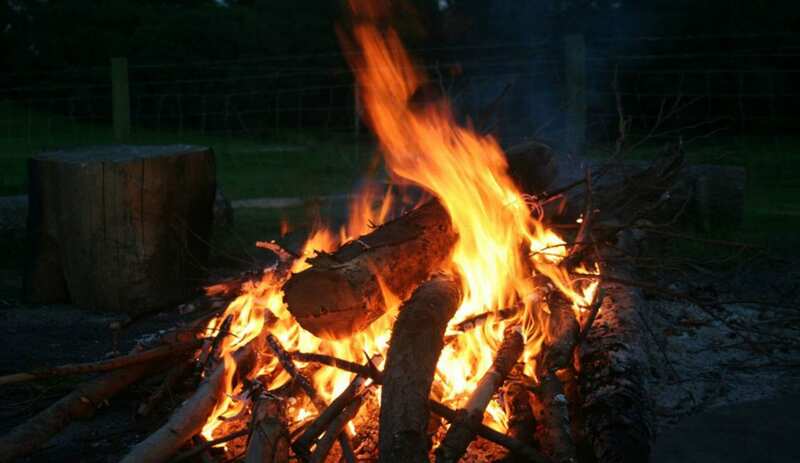 A crackling campfire in the evening rounds off the day. But at least you won’t need to keep guard all night! Gumber Barn is on a working sheep farm and offers simple accommodation for walkers, cyclists and horse riders (there weren’t many cycle s here in Roman times though). 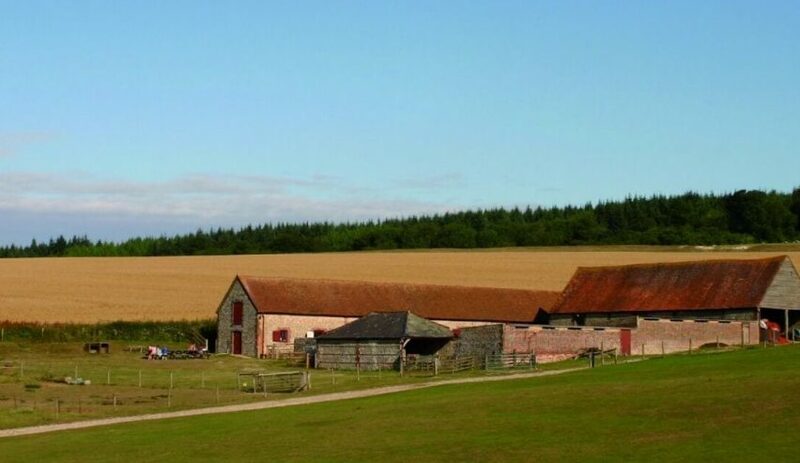 Stay in this remote camping barn in the South Downs, only accessible on foot or by bike. 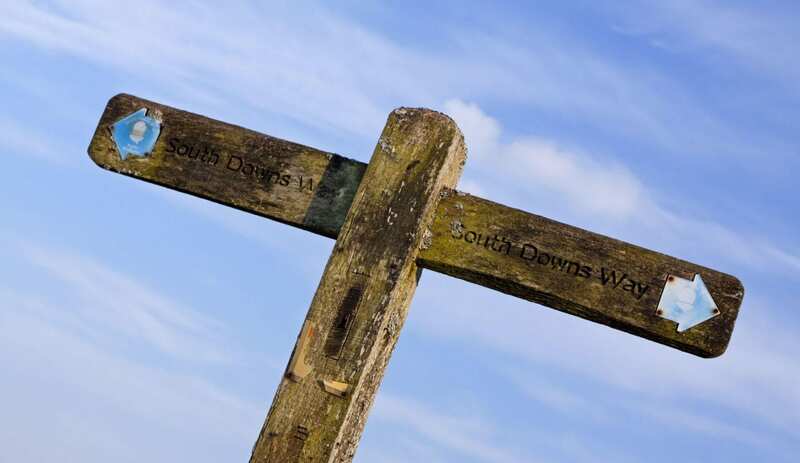 The South Downs Ways is a 100 mile route from Winchester to Eastbourne following bridleways over the glorious South Down. One of the driest long distance paths in the UK it can be traveled on foot or by bike. Gumber Bothy, on the National Trust Slindon Estate, not on accessible by car, is only five minutes’ walk from the Stane Street Roman road which crosses the South Downs Way at Bignor Hill. 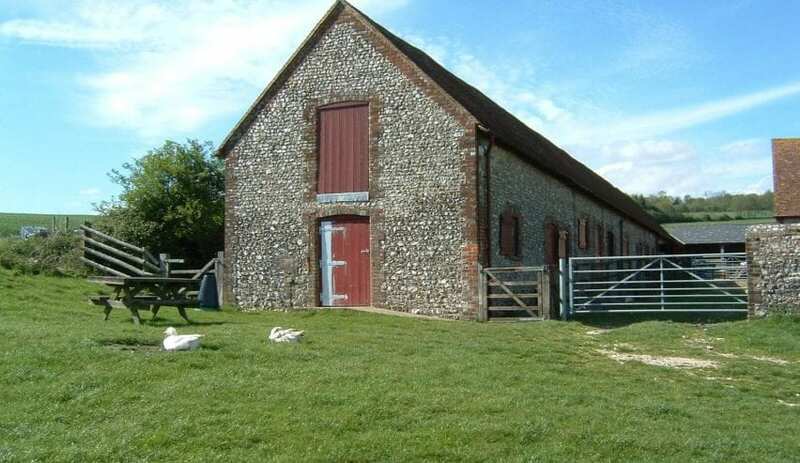 The camping barn has self catering facilities, drying room and cycle storage ideal for walkers and cyclists traveling the South Downs way. Bring a sleeping bag and sleep on the sleeping platforms. Gumber Bothy is a converted Sussex flint barn on a working sheep farm within the National Trust’s Slindon Estate. It provides simple overnight accommodation or camping for walkers, horse riders and cyclists, just off the South Downs Way, or a tranquil and remote location to get away from it all. 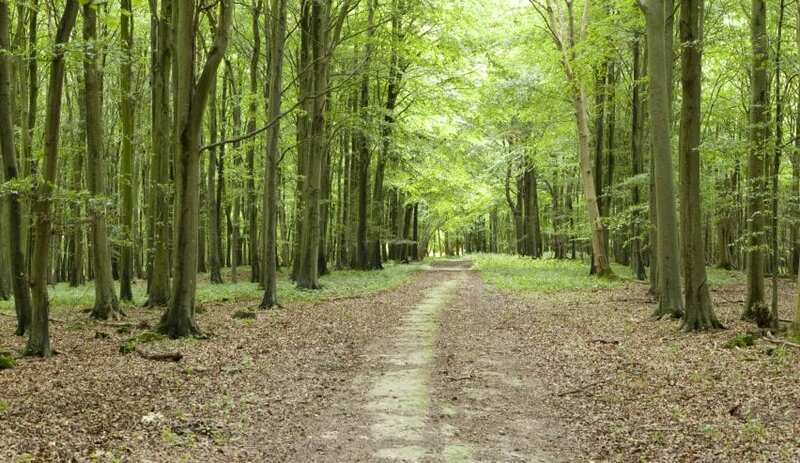 Five minutes’ walk from Stane Street, the Roman Road that crosses the South Downs Way at Bignor Hill, facilities include sleeping platforms in 3 dorms sleeping up to 25, basic kitchen and bathroom facilities, BBQ, drying room, bike racks, payphone. Come to this lovely area !